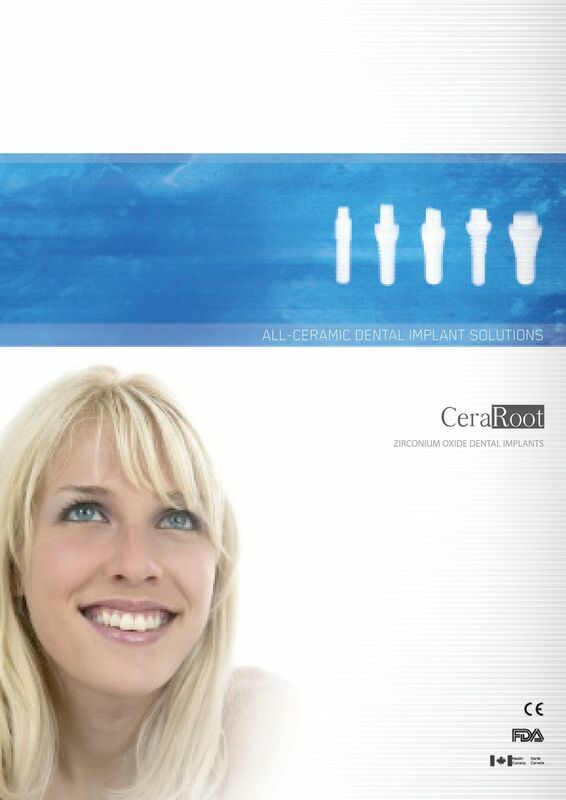 Download "ALL-CERAMIC DENTAL IMPLANT SOLUTIONS"
6 Osseointegration The osseointegration that results from the enhanced bone formation and firm anchorage on Ice Surface is characterized by a remarkable bone-to-implant contact. 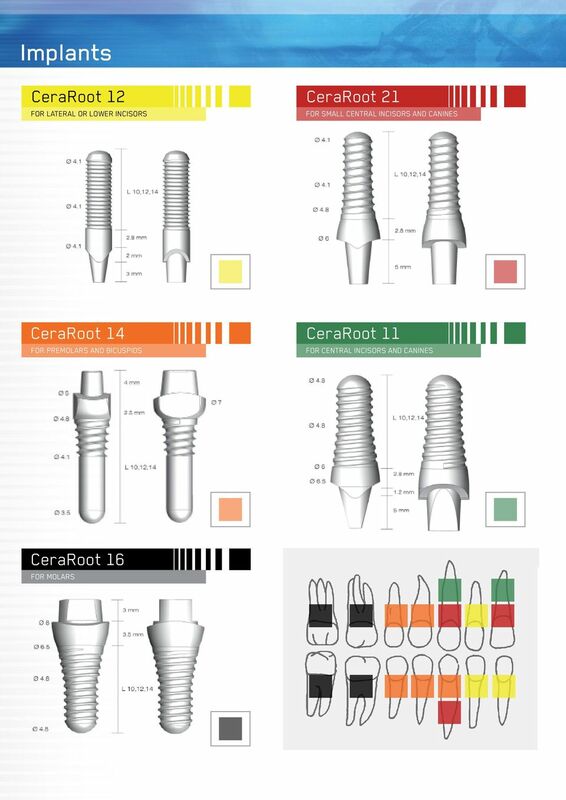 Early loading is possible on CeraRoot implants when excellent stability is achieved in healthy patients with good bone quality. 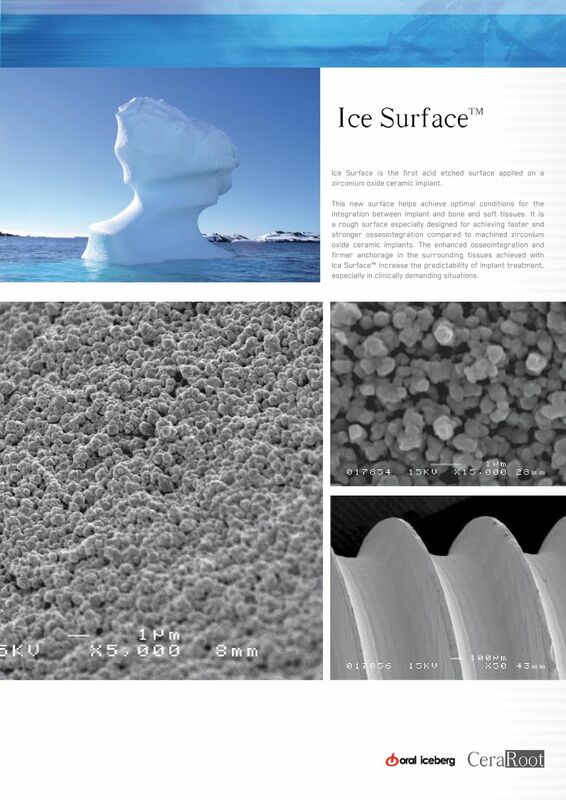 The unique properties of the Ice Surface accelerate the osseointegration process and achieve secondary stability sooner than machined or blasted surface ceramic implants. This means that early loading protocols can be achieved with more predictability thanks to earlier osseointegration. 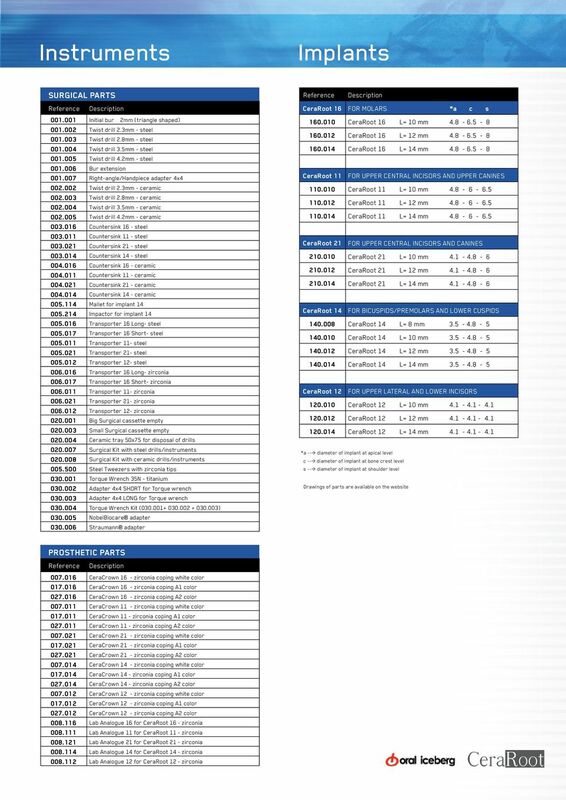 The latest clinical results on Ice Surface confirm exceptional maintenance of marginal bone level after 5 years. 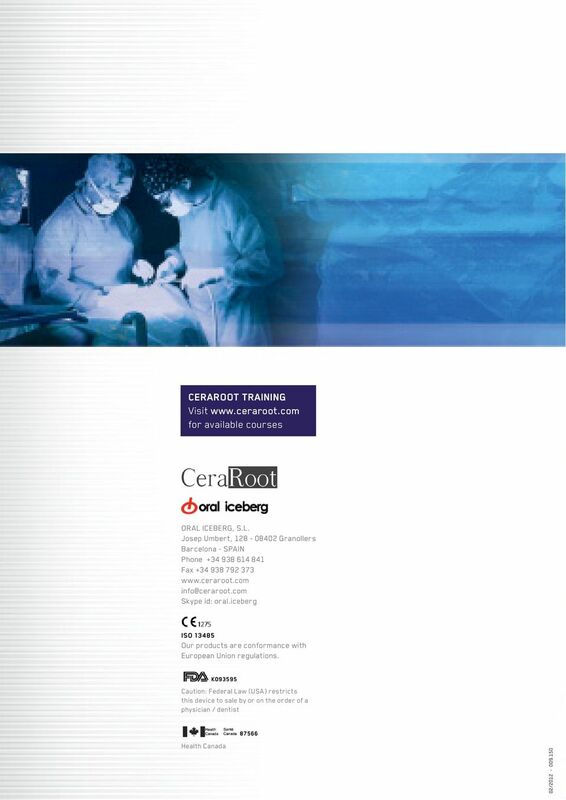 Ice Surface is currently being evaluated in several centers involving more than 800 CeraRoot implants placed in 378 patients. For the patient, this means the benefit of more bone more rapidly and the reliability of a long-term treatment outcome. 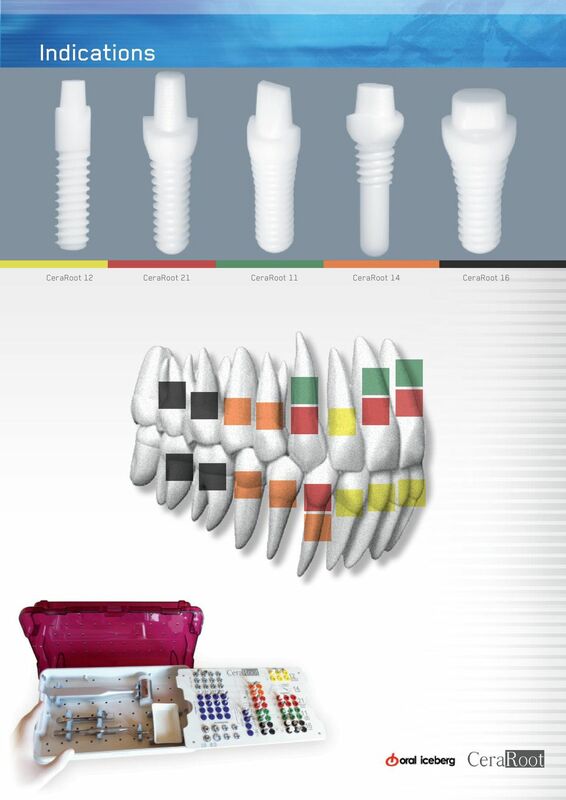 CeraRoot is the first generation acid etched ceramic implant surface with more than 5 years clinical follow-up. The absence of a prosthetic connection due to its one-piece structure accelerates the healing process and preserves the surrounding bone. 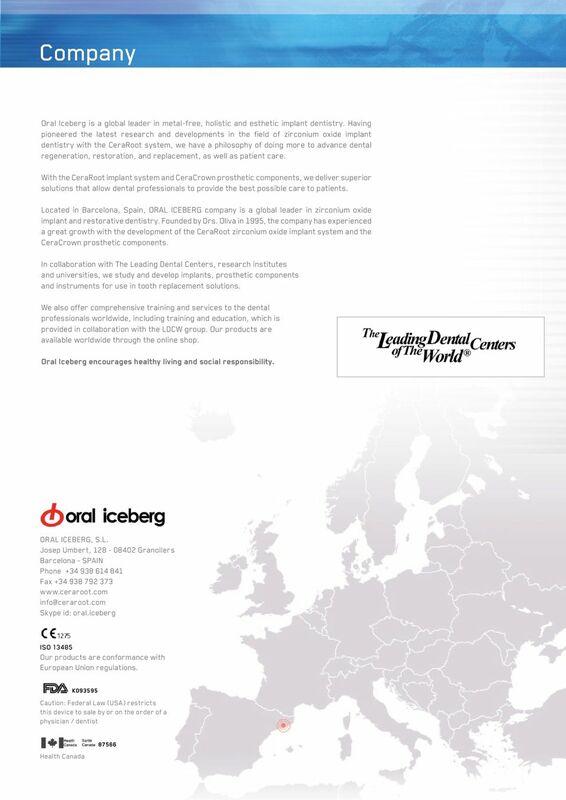 7 Ice Surface is the first acid etched surface applied on a zirconium oxide ceramic implant. 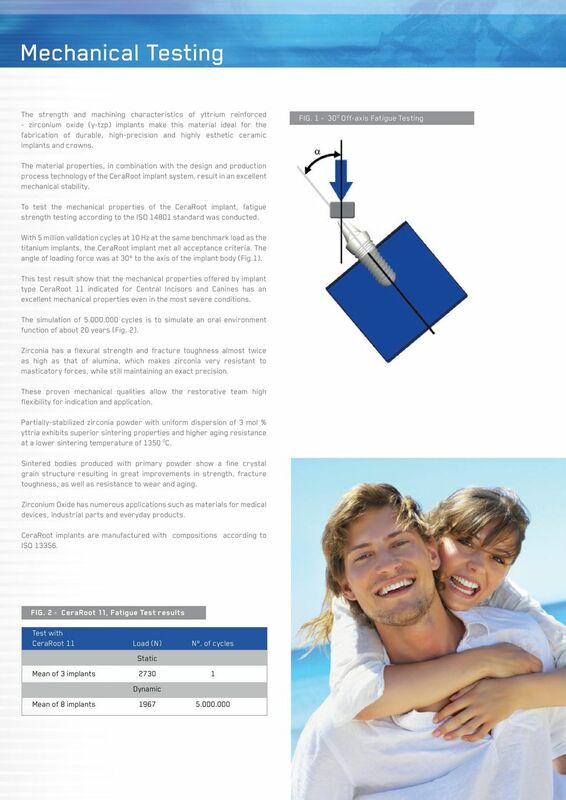 This new surface helps achieve optimal conditions for the integration between implant and bone and soft tissues. 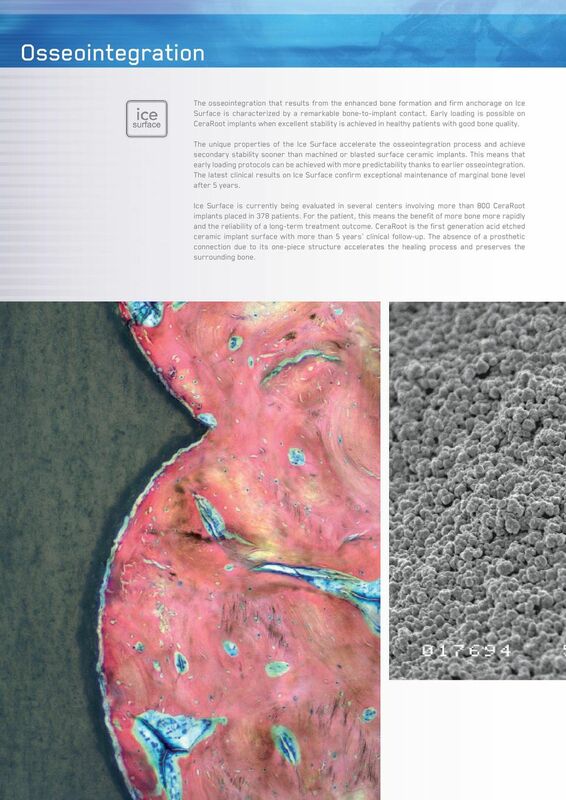 It is a rough surface especially designed for achieving faster and stronger osseointegration compared to machined zirconium oxide ceramic implants. 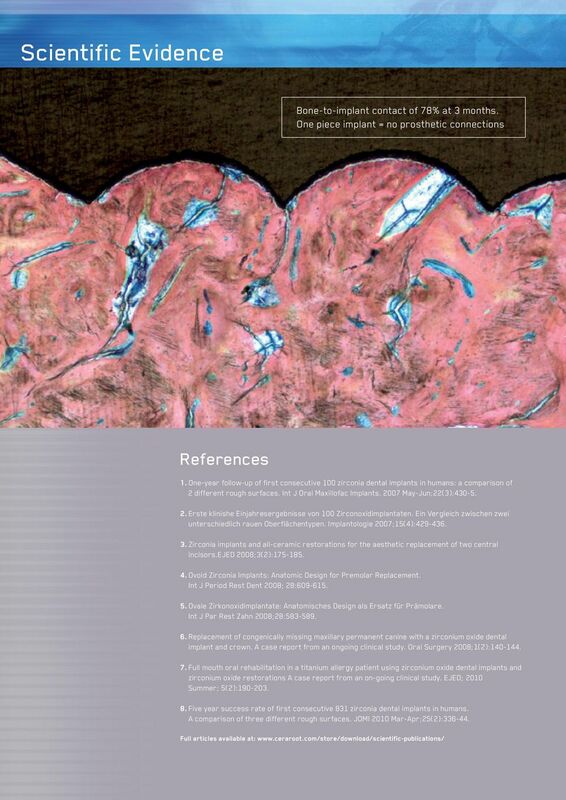 The enhanced osseointegration and firmer anchorage in the surrounding tissues achieved with Ice Surface increase the predictability of implant treatment, especially in clinically demanding situations. 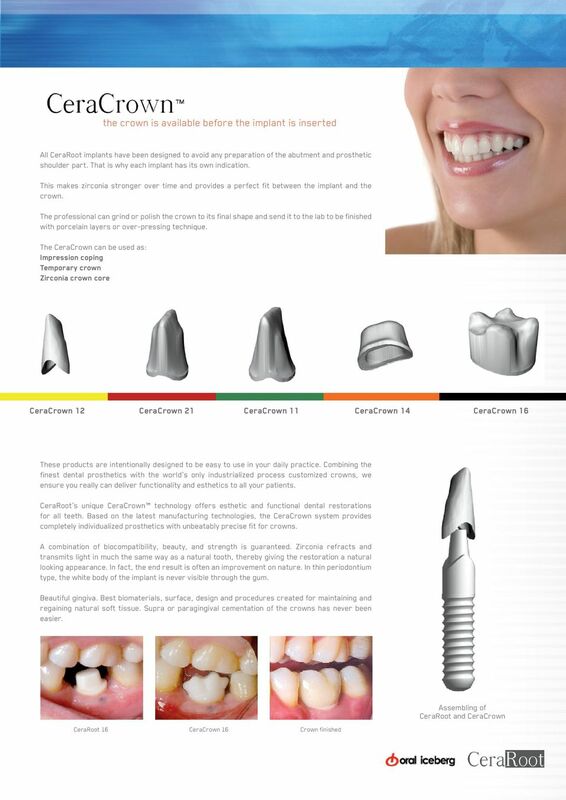 Patient information on dental implants. More than just beautiful teeth. 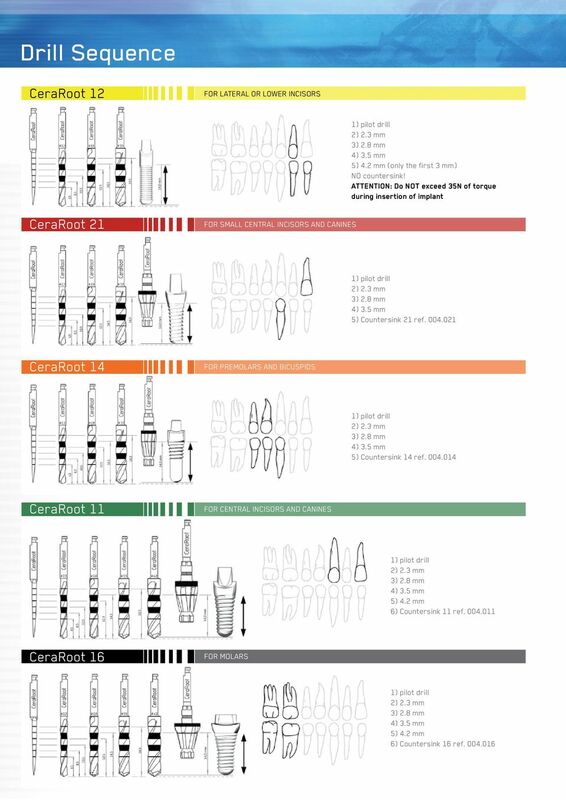 A comprehensive guide to dental implants.